L’Orchidée is about 35 minutes of driving time from Piarco International Airport and it is conveniently located 5 minutes drive from the City center, the financial and commercial district of Port of Spain, with easy access to shopping, Theatres, Fine Dining Restaurants, Museums, Cultural Sites, Casinos, Art Galleries, Medical Facilities, Banks, Churches, Supermarkets, Drugstores, Embassies and Bars of all descriptions. L'Orchidée's setting in Trinidad is about location, location, location affording you minutes walking distance of the Queen's Park Savannah, which boast of 2 ¼ miles of jogging or walking pitch and is recorded as the largest roundabout in the world. 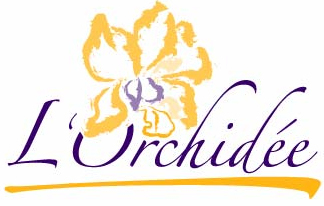 The name L'Orchidée (The Orchid) mirrors the special care and individual attention offered to each of our guest. Like the various species of Orchids every guest is seen as unique, special and deserving of the best quality care and service. Our Mission is to meet the specific needs of each guest with a professional, friendly, prompt, courteous and enthusiastic attitude from all our staff at all times.